Chinese Herbal Medicine can be taken alone or as a complement to acupuncture to alleviate existing symptoms and encourage long-term healing. 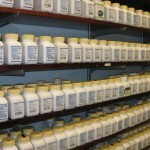 Custom Chinese herbal medicine formulas are individually designed to meet a patient’s exact and often changing needs. Chinese herbal medicine encourages the body to heal itself and treats all types of diseases and conditions including the common cold, allergies, chronic diseases, gynecological disorders, infertility, autoimmune diseases, menopause systems, trauma and degenerative diseases due to aging. Chinese herbal medicine can also be used to support general health and wellness as well as treating common pregnancy symptoms and preventing miscarriage. When prescribed by a properly trained Chinese herbalist, herbs are safe to take during pregnancy. Chinese herbal medicine has safely and effectively treated pregnant women for thousands of years. Practitioners at Isthmus Wellness frequently use herbs to regulate women’s cycles, aid conception, and support pregnancy. Lactating mothers may also benefit from Chinese herbs prescribed by a trained practitioner. 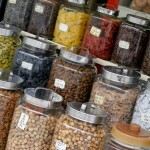 Children may take Chinese herbs at a reduced dosage based on weight. Isthmus Wellness carries a full line of pre-made liquid formulas and vitamins especially developed for children. We can customize herbal formulas to offer exactly what your child may need. Most of the herbs we use at Isthmus Wellness come in powdered form. Some people choose to drink the herbs as a tea, mixing the powder with a little warm water. Others prefer to take the herbs as capsules. We encapsulate herbal powders on site, and offer both gelatin capsules and vegan capsules. Isthmus Wellness mostly uses herbs prepared by KPC Herbs and produced by Kaiser Pharmaceutical Co. at its facility in Taiwan. KPC Herbs has been in business for over 35 years and has a long-standing record of safety and certification recognized throughout the world. KPC Herbs tests every batch to ensure safety, potency, and consistency. Certified independent laboratories in the United States and Europe verify all testing. The majority of herbs come from plants, flowers, leaves, twigs, stems, roots, rhizomes, tubers, and bark are all used. However, animal and mineral sources are also used. Please let us know if you are vegan or have food-based allergies. Herbs taken as capsules have little to no particular taste. Each herbal formula will have a unique taste when taken as a powder or decoction. Formulas are often bitter because they are frequently made from roots and bark where a plant’s medicinal properties are the strongest. When a formula is suitable for the patient, the taste should naturally become more agreeable after a few days. Some people crave the taste of their herbs often indicating they have been given the correct formula and that it is working. Schedule an Appointment Today! Click here to schedule your next appointment today!